I want to like Hops n Grapes, honest, I really do. It’s my closest wine store. It’s way better than Canal’s on the Black Horse Pike and I even give it the edge over Monster Beverage, their neighbor in Glassboro. It’s just that there is something that irks me about their daily “e-mail specials” and this false sense of urgency they try to create in order to get what basically amounts to “two dollars” off of a bottle of mediocre wine. I know I am going to hear from Patrick on this one!! What bothers me most though is that recently, with each visit, I find some little thing that pushes me away from my case purchases. 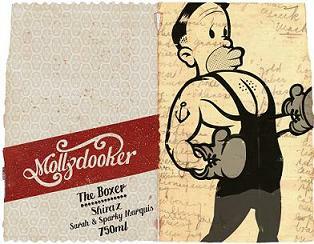 On my most recent encounter I spotted the Mollydooker line-up of Australian wines priced at a not very enticing $28.99 when I can purchase them elsewhere for $24.99. I could have forgiven them the disparity, but then, they take what is probably the most popular of the Mollydooker wines, The Boxer Shiraz, and make that one an extra dollar higher at $29.99. Give me a break!! I wander around the store checking out their selection. 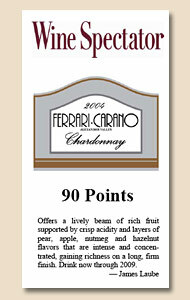 I read a shelf-talker for a WA92 rated 2007 wine. The actual wine available for sale above the shelf-talker is the 2008. Out of 10 shelf-talkers I look at FIVE of them do not represent the wines being offered (off the top of my head, two of the E. Guigal wines in the French section come to mind). It’s not unlike a car salesman selling you on the merits of a BMW and then after you sign for the car, delivering you a Toyota. Are they purposely trying to deceive the customer? I doubt it. Most likely, it’s simply a matter of not thinking it’s important. No one checks to assure that the shelf-talkers match the wines above them and most customers wouldn’t think to check, anyway. It’s just a lazy way to do business. They would probably also tell you that the distributor puts those on there, not them. That might be true but it’s YOUR store, YOUR integrity on the line, not the distributors or the salesmen. I’m not a beer guy, I don’t drink much spirits. I’m a wine guy and I want to like Hops n Grapes, honest, I do. I’ll keep trying. It’s just a little harder now that Vladi isn’t with them. HE was a wine guy. You will also see scores given by a wide array of secondary wine sources such as, Stephen Tanzer of the International Wine Cellar, the Wine Enthusiast, Wine & Spirits Magazine and The Connoisseur’s Guide to California Wines. Keep in mind that these scores only reflect what that individual critic felt about the wine. They do tell you that SOMEONE likes this wine and as a starting point for you, who at the moment is looking for a good wine that you will enjoy, this might be all you need to give that particular wine a try. As you progress and gain experience with your own palate you may find that you have a tendency to like the same wines as Stephen Tanzer or Robert Parker and seek out wines that have received high scores from them. These ratings can be especially helpful when a wine with a high score is accompanied by a low price. This is known as QPR or Quality Price Ratio but that is something for another day. Finally, a word of caution concerning these wine ratings found on “shelf talkers”. You have to check to be certain the wine mentioned on the “shelf talker” is the exact same wine on the shelf above. Remember, these “cardboard ads” are placed there by the salesmen who sell these wines and often they will use a high rating from one year for a wine made in another year. Wines can vary from year to year and if it is not the same wine that scored the high points you may be disappointed with what you are drinking. So, Buyer Beware, check the vintage (year wine was made) on the label to be sure it matches with the wine being rated on the “shelf talker”. Enjoy!